Contemporary society has placed both advantages and difficulties before the young people of today. We live in a fast-paced world of material affluence, peace, freedom and every changing technology. On the other side of the ledger, adolescents today can be isolated, be unfamiliar with risk or failure. unsure of boundaries, treated as consumers from a very early age, and suffer from issues of self-esteem or body image. The contours of adolescence are changing. Current educational practice is rapidly acknowledging the benefits of taking students out of their comfort zone of home and class rooms into nature to an alternative ‘outdoor campus’ to help facilitate personal development, an appreciation of nature, and to develop mental strength to face the challenges of the 21st century. 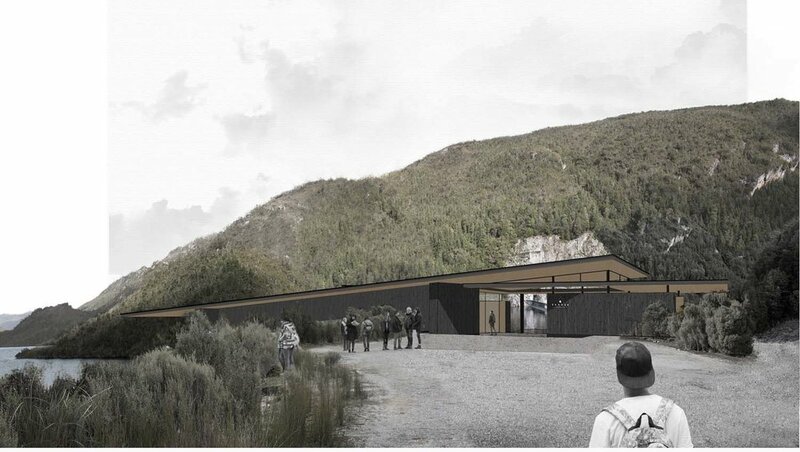 This project aims to tackle youth resilience and confidence through a high school outpost in the wilderness of Tasmania. The student wilderness encampment will give students the opportunity to discover, explore and strengthen traditional courses of strength, growth and fulfillment which form a diminished part of contemporary thought, life and educational practice. It is the aim of the facility to give students the tools and skills to face the challenges of the 21st century with personal confidence, intellectual versatility, academic hunger and optimism. The encampment is located in South-West Tasmania – part of the Tasmanian Wilderness World Heritage Area. The area is remote and far removed from the hustle and bustle of the modern world. Lake Pedder itself is a contentious site in this beautiful region. In the 1960s, Lake Pedder became a battleground for one of Australia’s first major environmental struggles, giving birth to the Australian conservation movement. The original Lake Pedder featured a unique 3km long pink quartzite beach, which in 1972 was flooded to provide for a hydro-electric scheme. In more recent times, there has been a renewed push to restore Lake Pedder to its former glory by modifying the hydro scheme and allowing the beach to resurface. 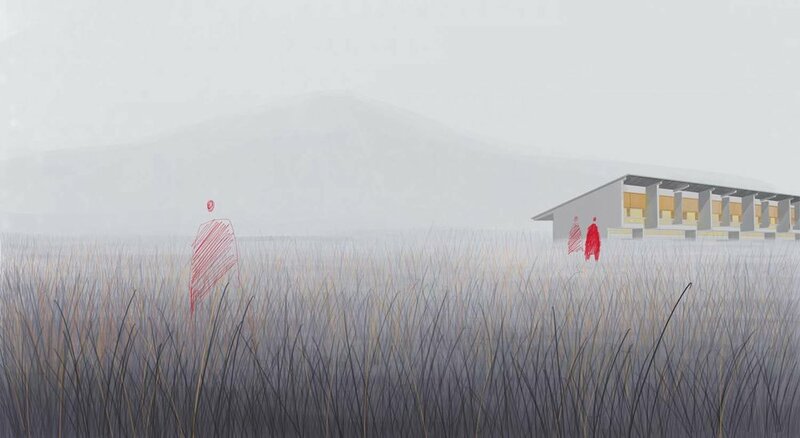 The student wilderness outpost will form part of the initiative to realise the return of the lake. The aim of this studio is to design a wilderness encampment/campus for high school students (12-18 years old) to experience/learn/explore the Tasmanian wilderness. Groups of students will be staying at the campus for varying period of time – from a few days to a few weeks. The main building and center-piece of the build will be the Lodge, which will contain a reception with communications area, kitchen and dining space for 120, and social space for 120 students/staff. Additional facilities will include teaching spaces with classrooms, an observatory, laundry facilities, storage facilities for outdoor education equipment, staff meeting spaces, and a camping area for 120 students/staff. Accommodation ‘units’ to be provided for students, including common room areas, washroom facilities. Separate staff accommodation must also be provided, which allows adequate supervision of student areas. 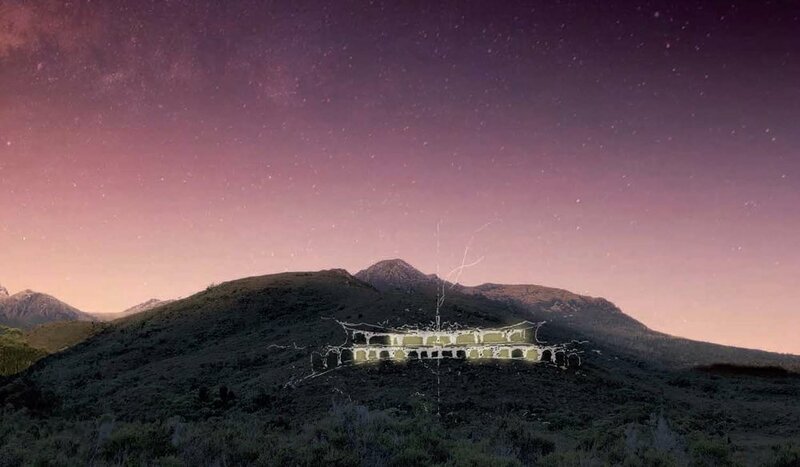 The wilderness encampment is to be an educational retreat, not a hotel or indulgent holiday camp – it is an experience of living with less in direct contact with the environment. Students will be asked to research the history, environment and culture of the South-West Tasmanian wilderness. The aim is to ground the understanding of the project in an understanding of the problems and issues building in or adjoining a World Heritage Wilderness Area, where there are particular issues of conservation and development. Emphasis will be placed on the students’ capacity to search for meaningful architecture beyond the issues of functional problem solving and pure composition. This should lead to the complex integration of architectural issues resulting in an innovative solution in direct response to the brief, the site, the environment and the concerns of the conservation community. The resolved design should consider issues of cultural appropriateness, building skills in remote locations and environmental appropriateness. conceptual development, programmatic diagrams, design process and design testing. The studio will encourage both the traditional art of sketching and the use of the latest 3d/Photoshop/photomontage skills to create a highly descriptive but equally artistic image. In conjunction with the production of these images the studio will explore the art of model making. These techniques are essential student skills and ideally suited to creating powerful and evocative representations.